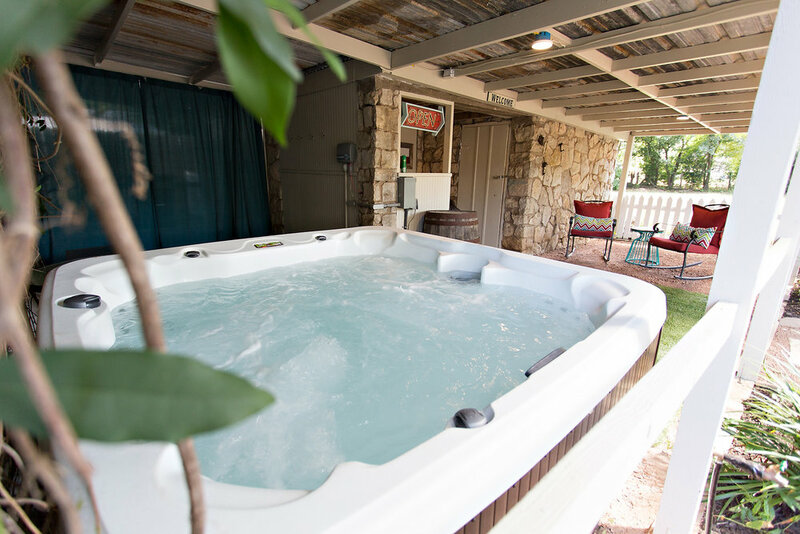 The Coral Door is a 4 bedroom, 2 bath house located less than a mile from Main Street. The house features a unique king sized hanging bed and sleeps a total of 8-10 guests comfortably. The Coral Door was built in 1930 and has recently been fully restored with all the modern conveniences that we have all grown to love! We fell in love with the arched doors, and strangely enough, the coral colored door. The door soon became the theme for The Colored Door Properties. The house just has a special uniqueness and charm not often found in modern construction. 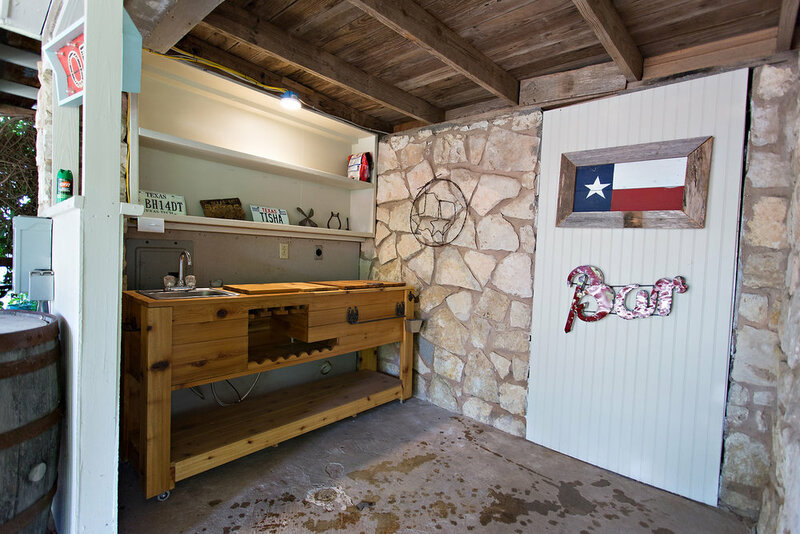 The Coral Door has a fully equipped kitchen with all linens and hot tub towels provided. The house has king sized beds in three of the bedrooms and two twin beds in the last bedroom. There is also a pull out sofa to accommodate additional guests. Other features include a hot tub and fire pit! The backyard backs up to an open field that gives you a quiet, country feel while still being located in town. Also found in the large, over-sized backyard is a washer pitching/horseshoe throwing area. 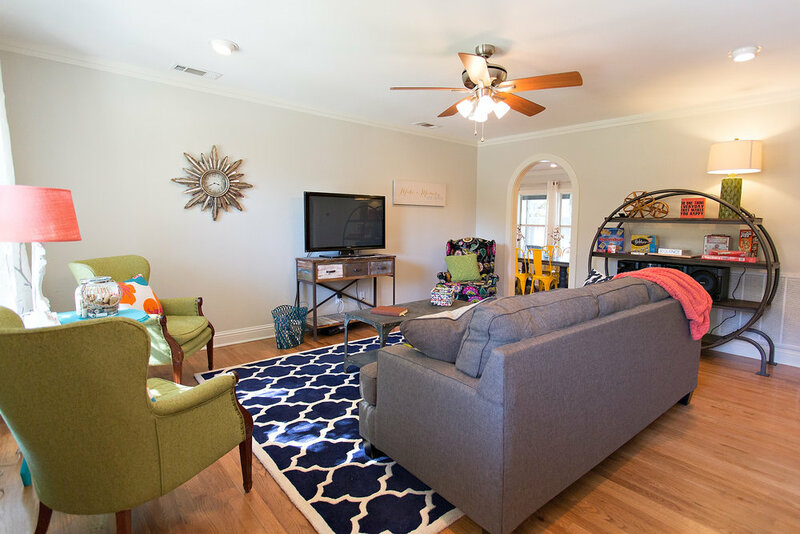 The house is great for families, girl's retreats, bachelorette parties, reunion groups, and couples getaways. The Aqua Door comes with a fully equipped kitchen. The house has a king sized bed in three of the bedrooms, and a queen bed in the other. It also has a pull out sofa to accommodate additional guests. 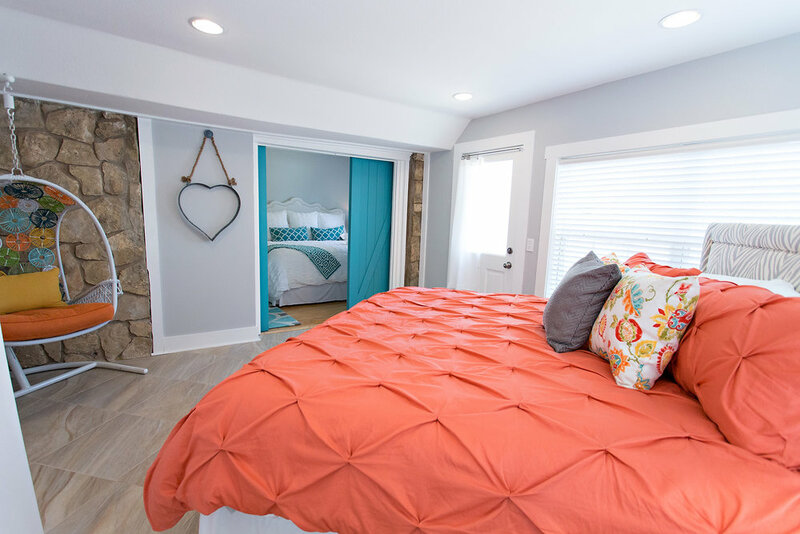 The Aqua Door is located 5 blocks from Main Street and sleeps up to 10 guests! 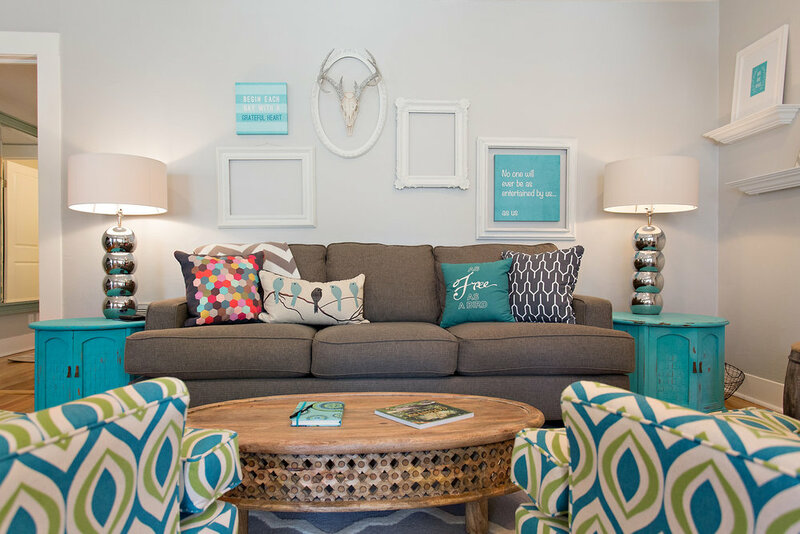 It features a fun and eclectic style that is sure to please! 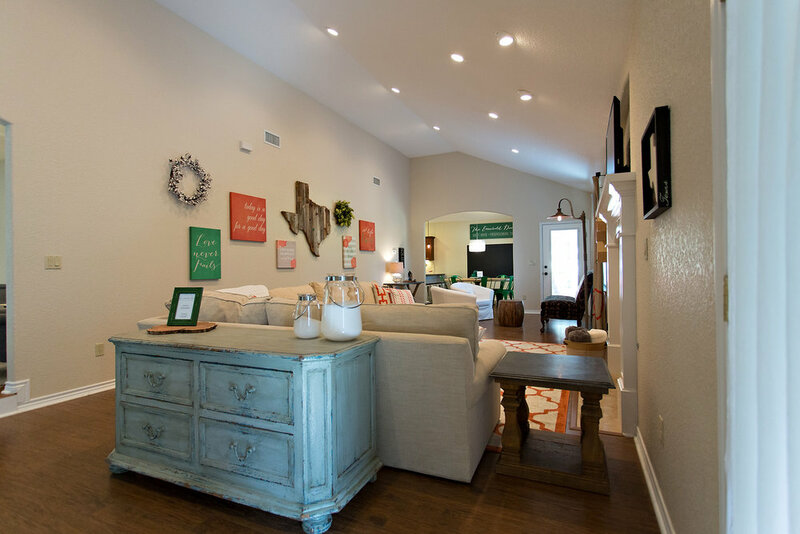 This house has been remodeled, but maintains the charm and character of it's original construction! 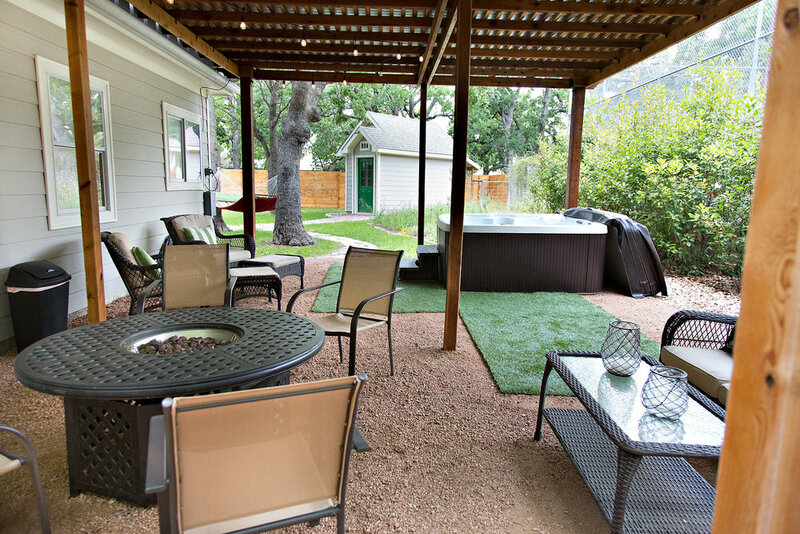 One of the best features is the large back yard area complete with bar area, hot tub, fire pit, string lights and much more! If you love spending time outdoors, this is definitely the place for you! 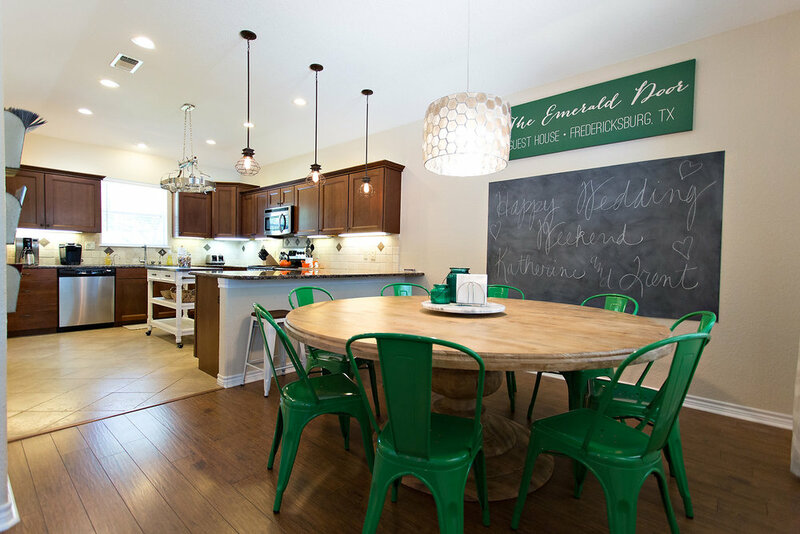 The Emerald Door comes with a fully equipped kitchen. Two bedrooms have king sized beds, and a third with a queen sized bed. 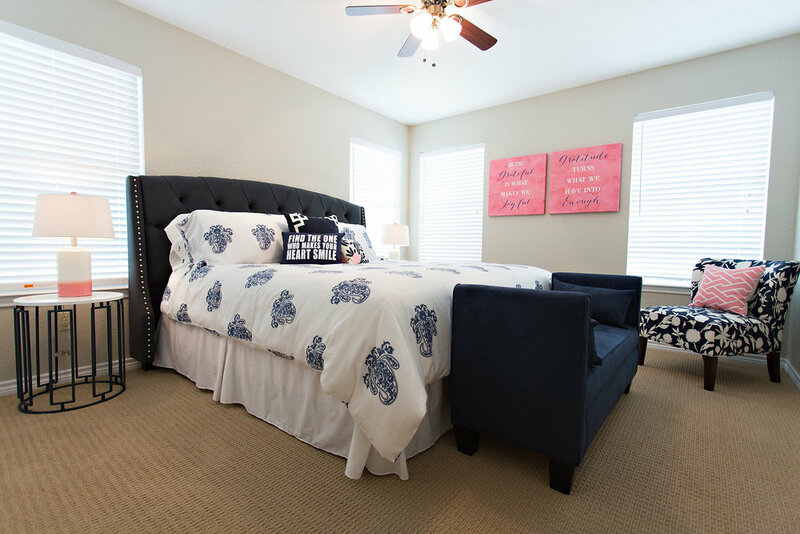 The fourth bedroom has two trundle beds each with twin sized mattresses, and can sleep four when the under bed trundles are used (see photos). 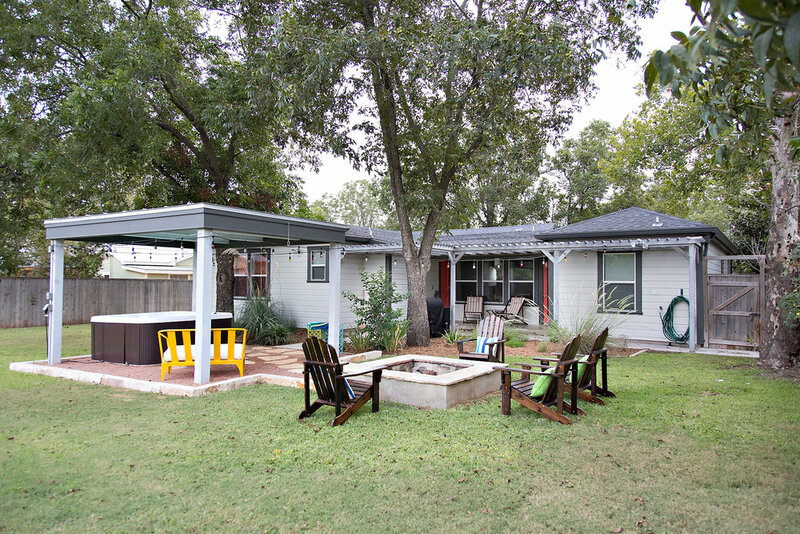 The wonderful back yard area is spacious with several different sitting areas and features a hot tub, grill, outdoor dinging table and gas fire pit! 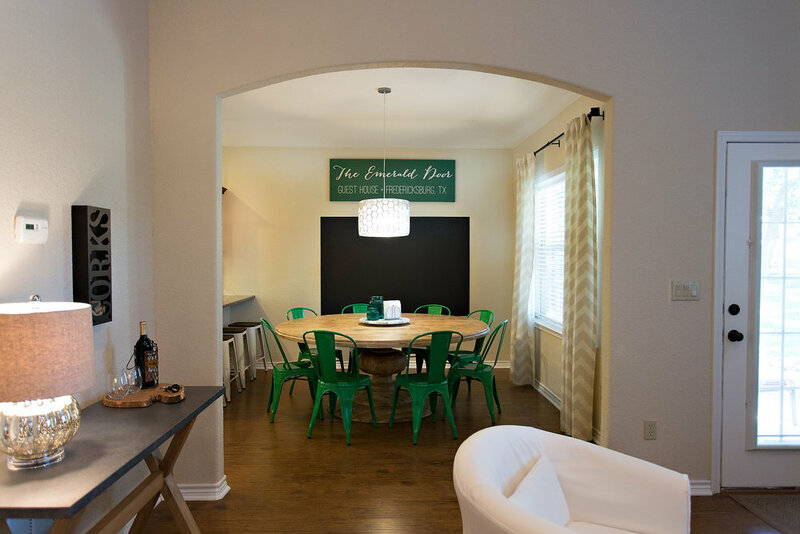 The Emerald Door is a short 8 blocks (less than one mile) from Main Street and sleeps 10 to 12 guests comfortably! 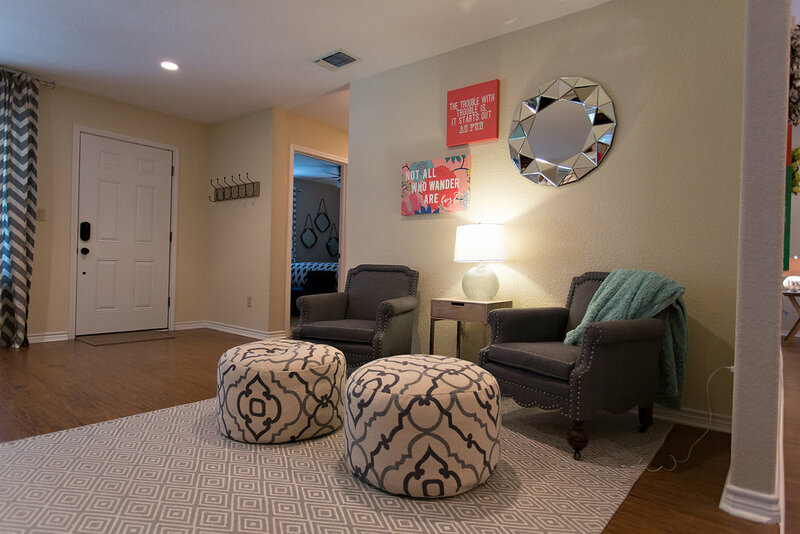 The house has been recently remodeled and has a great open living space with high ceilings, a sectional sofa and lots of room for entertaining and hanging out! The large 72 inch dining table with seating for 8 is great for meals together or a fun round of games. The Emerald Door is stocked with many fun games! The house has all the modern conveniences you are looking for in a luxurious guest house!